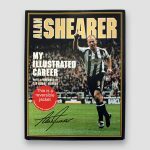 Containing colour and black-and-white photos of Alan Shearer’s life and football career, this work includes photographs that highlight his finest moments in the game. 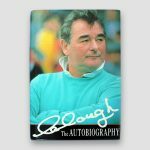 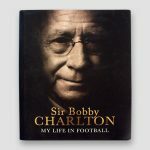 It also includes an introduction on the clubs and countries he has played against, players he’s faced, and characters he’s met along the way. Hurst remains the only man to score a hat-trick in a World Cup final, when England recorded a 4–2 victory over West Germany at the old Wembley Stadium in 1966. 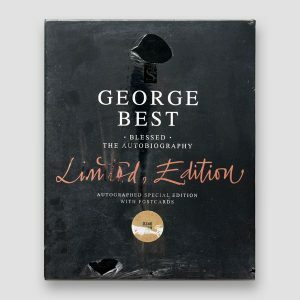 Own a piece of sporting history with this limited edition signed George Best Autobiography. 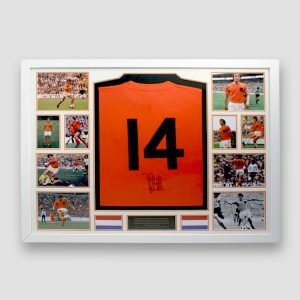 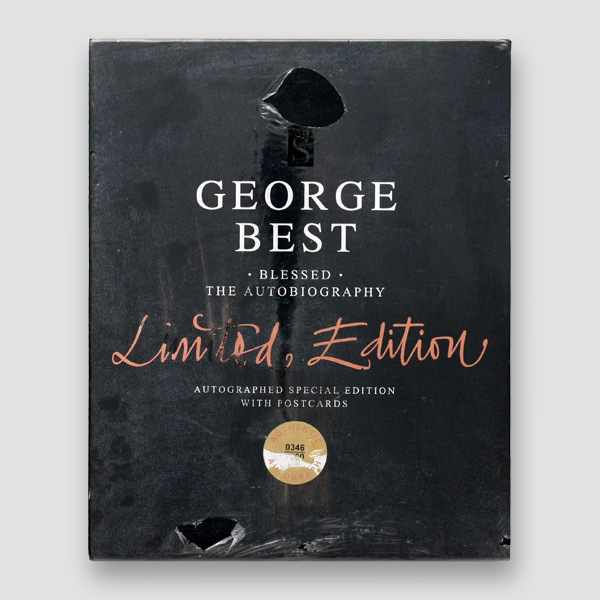 A rare collectors item, this impressive box includes a special autographed edition of George Best's book Blessed, which has gold lined edges and comes in presentation case. Stiles played for England for five years, winning 28 caps and scoring one goal. He played every minute of England's victorious 1966 FIFA World Cup campaign. 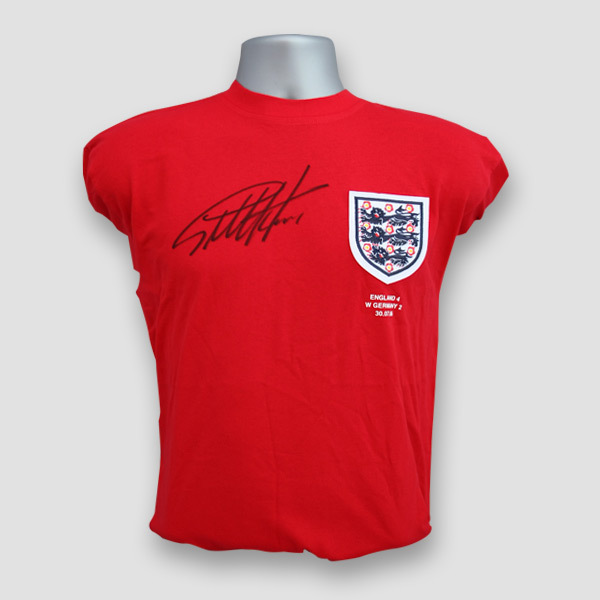 Stiles also played very well in the final, which England won 4–2 against West Germany. England Shirt hand signed by Martin Peters MBE. 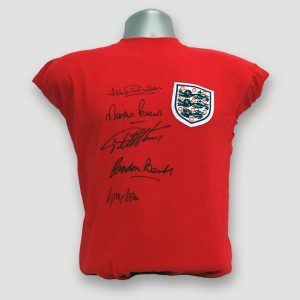 An English former footballer and manager and a member of the England team that beat West Germany 4-2 in that very memorable victorious game to win the 1966 World cup. 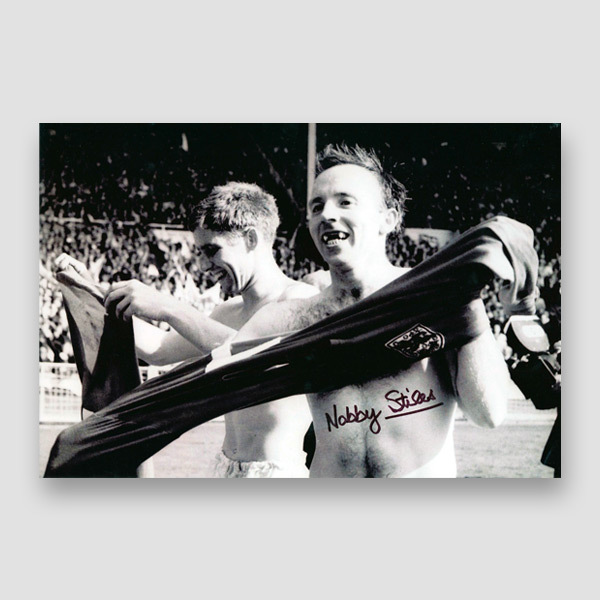 He played club football for West Ham United, Tottenham Hotspur, Norwich City and Sheffield United. 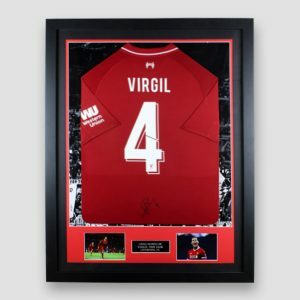 The Dutchman joined the Reds after forging a reputation as one of the most accomplished centre-backs in the Premier League. Mo Salah 'the Egyptian King' plays for Premiership Club Liverpool FC. 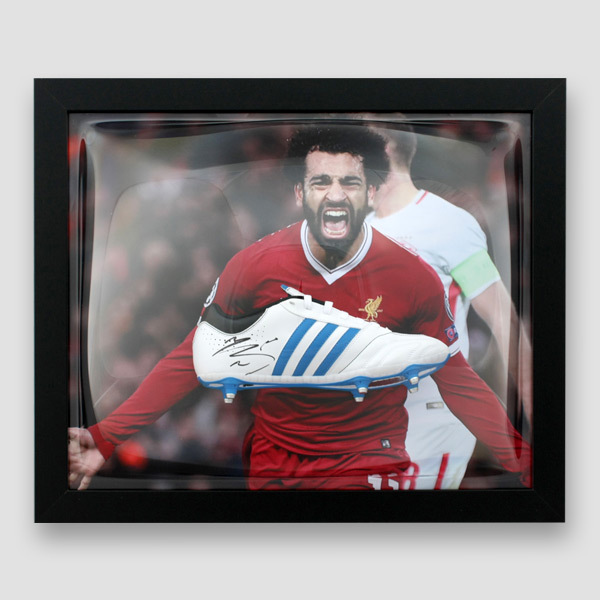 Last season he won The Premier League Golden Boot, which is an annual association football award presented to the leading goalscorer in the Premier League. 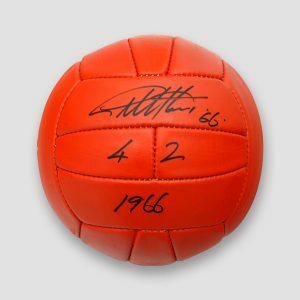 Sir Geoff said these balls are the closest he has seen to the real thing. 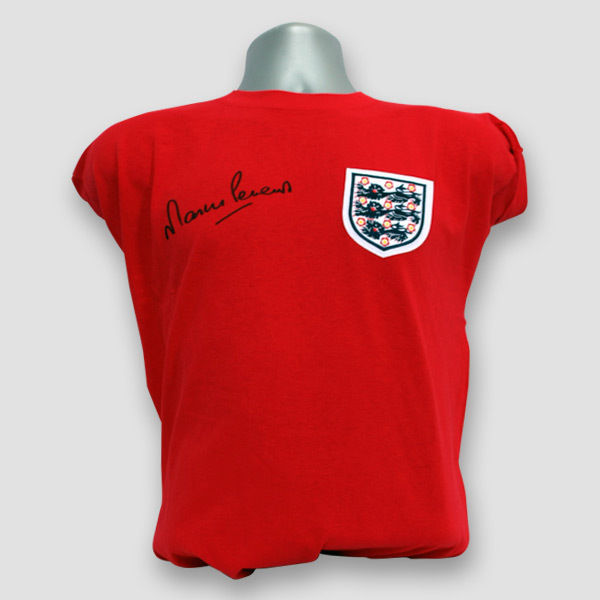 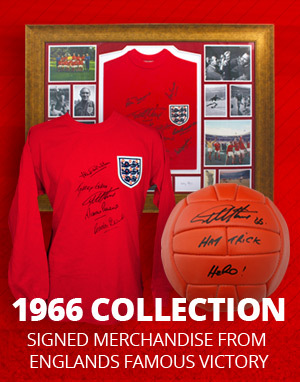 These are museum quality, and also have the added bonus of having Bobby Moore’s signature embossed into the leather. 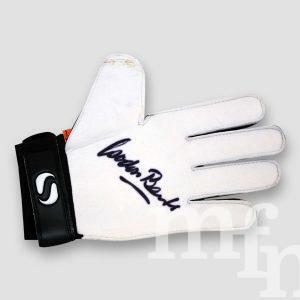 These are top quality leather balls. 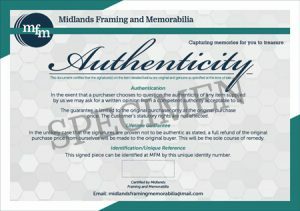 Please choose your choice of ball signature below. Gordon Banks OBE is a former England international football goalkeeper. 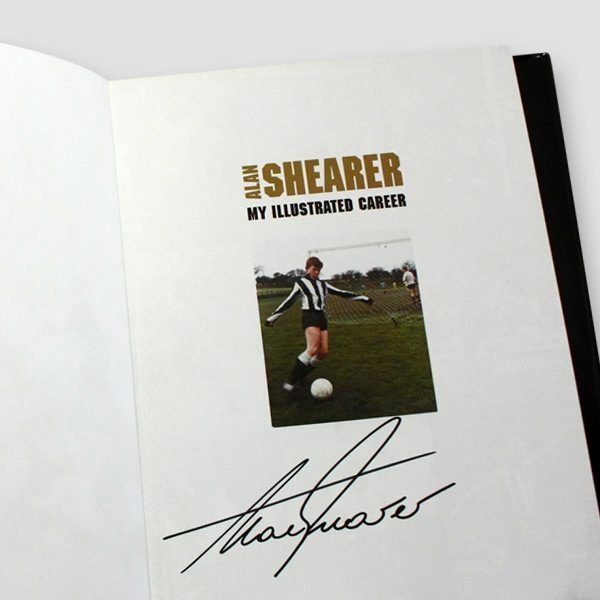 He made 628 appearances during a 15-year career in the Football League, and won 73 caps for his country.